A flattened bicycle helmet doesn’t at first glance look like a good thing. However, when its meant to be flat by its design, things start to get a bit interesting. 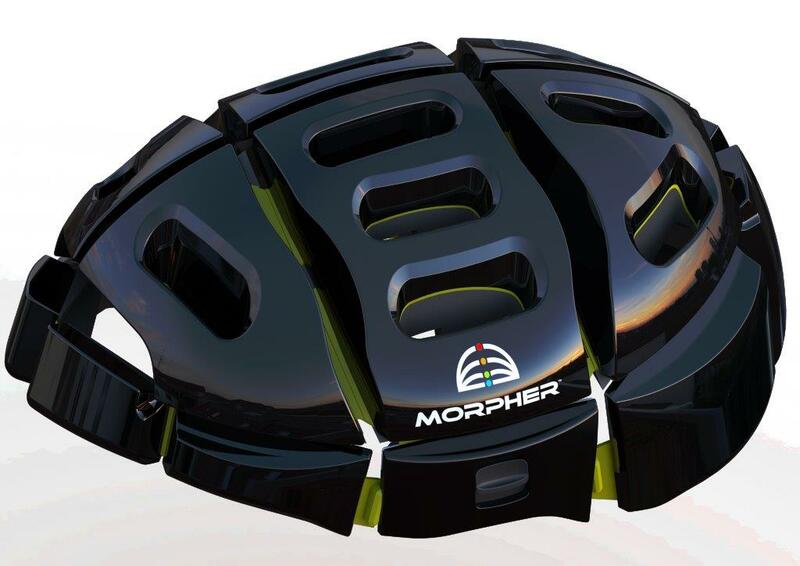 The Morpher helmet is a foldable bicycle helmet which features a quick and simple fold and unfold design. 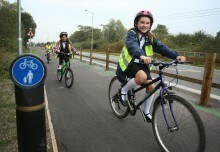 If you’re a regular cyclist you probably have your own helmet, but the occasional bike user and those who don’t own bikes, very rarely end up wearing a helmet. 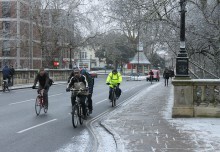 British cyclist Jeff Woolf was inspired to invent the Morpher after commissioning a survey of London bicycle-rental users. According to that survey, 92 percent of those people didn’t wear a helmet, due mainly to a lack of portability, even though 84 percent of them did believe that they were putting their lives in danger by not using one. The theory behind the Morpher helmet is if bike helmets could be portable and easier to carry when out and about, then they might just be a lot more popular. 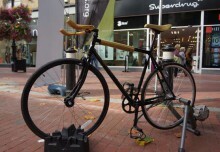 We took a look to see if this quirky design, could turn out to be serious moneymaker. The Morpher features 14 polyester panels connected by a moulded nylon cage which helping to mitigate impacts and also foam pads to add interior cushioning. Clasps on either side of the helmet lock its shape into place and release it for folding, and magnets are used to ensure the helmet snaps crisply into its folded position. 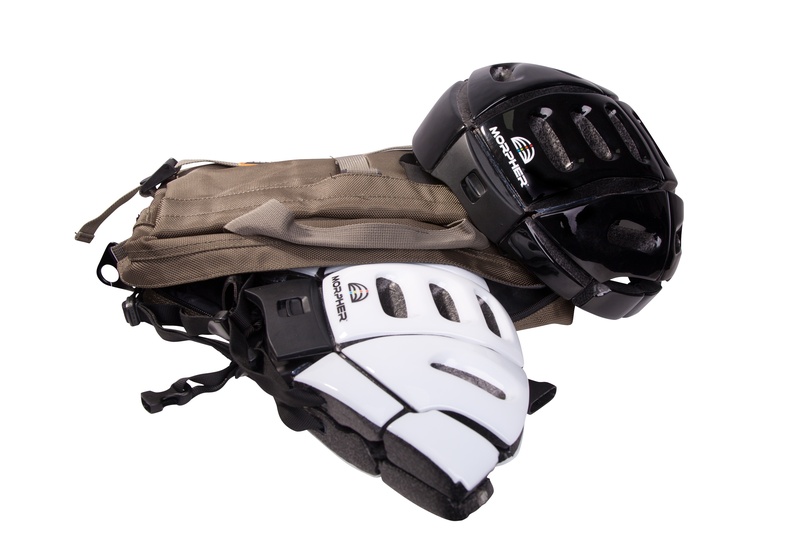 Once folded the helmet can easily be packed away in a bag and doesn’t take up the same room or cause the same level of inconvenience as a regular helmet would. The Morpher has been Patented worldwide, and designed to exceed all relevant safety standards. Morpher is initially aimed at all cyclists; especially those urban ones who find normal helmets a pain to carry around all day. 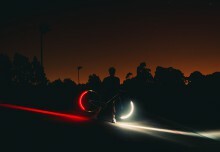 The vision is eventually it will also be marketed to other users of sports safety helmets such as skiers, skaters, snow boarders, hockey players and horse riders. Morpher’s flat profile will also allow innovative selling methods, such as vending machines placed by major bicycle hire points. Morpher aims to give the world an unprecedented ease of access to cycle safety, and they’ve also ensured that the helmets and components are made from recyclable materials. The helmets aren’t in retailers just yet, so if you want to get your hands on one first, there are a few left on Morpher’s Indiegogo crowd funding page here.